Customers are tired of brand interactions that don’t take into account their needs, wants, and desires. 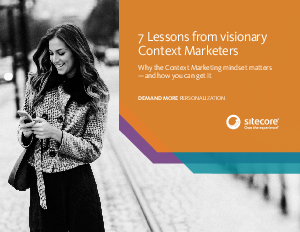 Providing content that really hits the mark—every time—requires marketers to develop a whole new mindset. One that begins and ends with the customer journey and the technology needed to support it.